January 5, 2006- I fished with a young couple from New Jersey, Alexandra & Charlie, are both college students. The wind blew about 25 mph today but we managed to do well in spite of it. We caught 19 fish in our 4 hour trip, with Alexandra catching a 7lb 12oz Okeechobee Giant. 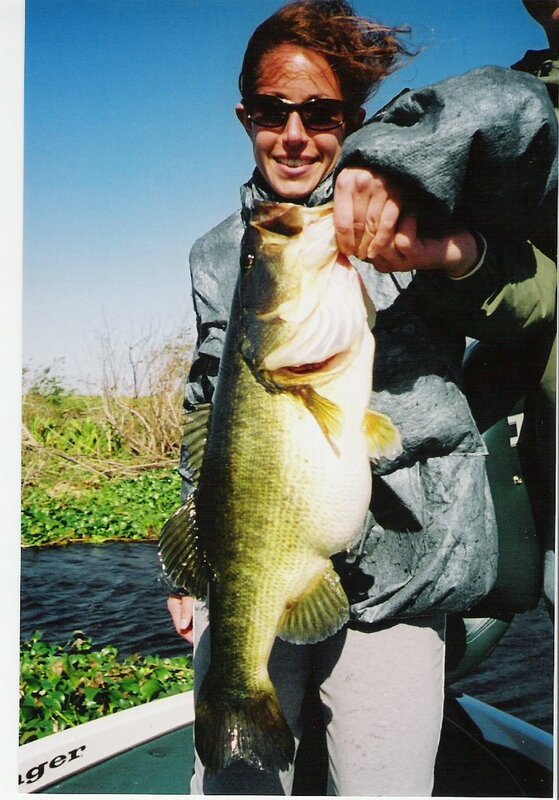 I never would have known she had not bass fished before, she fought and landed this big fish like a real pro! It was another great day on the Big “O”, the big bass barrage continues, I have never seen a run of big fish like we are experiencing this last several months.